Have you ever seen a stadium parking lot after the tailgating party is over? It’s typically covered with disposable cups, plates, and silverware. Most disposable plates, cups, and silverware are not recyclable because they are contaminated with food. Therefore, all of this trash that is generated during a tailgating event will end up in a landfill. Reduce the amount of waste generated at your next tailgating party by bringing reusable cups, plates, and silverware with you. Wash these items after the game is over so you can reuse them throughout the entire football season! It’s hard to find a recycling bin in the middle of a stadium parking lot, so many football fans end up tossing their recyclables into a garbage can instead. Don’t let recyclables end up in a landfill! Pack a bag that can be used to collect recyclables at your next event. Before heading inside the stadium, collect all of your recyclables and put them inside this bag so you can recycle them at home. 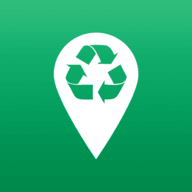 Visit some of the cars nearby to ask if you can collect their recyclables as well. This is a great opportunity to meet new friends who share your passion for sports and the environment. Many people attend football games with a group of friends and family members. Everyone is going to the same place, so why not ride there together? Organize a carpool with your loved ones so you can reduce your carbon footprint and protect the environment. Carpooling will do more than just save the environment–it can save you money as well since everyone in the car can help pay for gas and parking. Are you planning on grilling hot dogs and hamburgers? If so, heat up a propane grill instead of cooking over charcoal. According to one study, charcoal grills produce about 998 kg of CO2 when cooking food, whereas propane grills produce about 349 kg of CO2. Based on this study, it is clear that propane grills are far more environmentally-friendly than charcoal grills. Before the big game, stock up on foods and beverages that are produced locally. In addition to supporting the local economy, purchasing locally produced foods and beverages can also reduce carbon emissions. This is because locally produced items do not need to be transported very far to get to retailers, whereas other products may be sent from thousands of miles away. The shorter the distance, the smaller the carbon footprint. There’s no need for eco-conscious football fans to give up tailgating in order to protect the environment. Following these tips can help football fans go green–no matter what their team’s colors are!